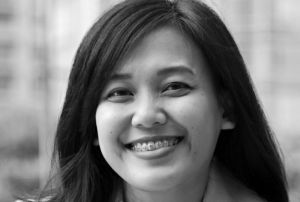 Elora Films is an independent production company based in Yogyakarta, Indonesia, founded by Siska Raharja. Since 2013, Elora Films focuses on films and art, and their relationship with social and humanitarian issues. In collaboration with the IndoArtNow contemporary art foundation, Elora Films has produced and directed nearly 100 documentaries about contemporary visual artists in Indonesia. Elora Films has produced 3 short films, Lost Wonders (Loeloe Hendra, SGIFF 2015), Flowers In The Wall (Eden Junjung, JAFF, Bogota & BSIFF 2017) and Bura (Eden Junjung, 2019). Elora Films has also developed 2 feature films, Tale Of The Land (Loeloe Hendra, TFL 2017, HAF 2018), and Mayday (Eden Junjung, Best Future Project – JFP Jogja NETPAC Asian Film Festival, Ties That Bind 2019).